The other day I was asked to visit Dickson College in Canberra, where high school teachers were getting together to find out how they might go about teaching robotics at their schools. Andrew Moss, who runs an awesome robotics course there, asked me to present some good arguments about why this is a field worth teaching. 1. Robots are and will continue to be historically significant. We humans have had a fascination with building automata that stretches back thousands of years. We’re obsessed with building machines to do things for us. And now, we’ve even started getting good at it. For better or worse robots are here to stay, so we’d better get used to it…and prepare ourselves for a new age of robotic assistance. 2. Robots permeate popular culture. Think of the Jetsons, the Terminators, R2D2, Stepford Wives, Transformers, I, Robot and hundreds of other shows. Everybody can relate and react to the idea of robots in our society and what they might mean – so the subject is a good imagination-catcher, even for kids who aren’t that interested in science or technology. 4. The reality of robots over the coming decades is going to be far better, weirder, cooler, funnier and even scarier than fiction.We have social, ethical, moral, financial, practical and environmental obligations to understand their use and how the technology will impact on human societies and the rest of the natural world. 5. Robotics is a fast-developing, wide-ranging field with enormous creative freedom at the moment. It’s also virtually unregulated. So there’s room for a lot of creativity, personal interest and passion. 7. It’s going to be a growth industry. There are jobs and opportunities of all kinds associated with robotics, from entrepreneurship to software design, monitoring to art-making, engineering to writing, marketing and inventing. 8. There’s great research going on in many countries that can be used to inspire kids about what’s possible and where the new frontiers of science are. And, if you ask nicely you can also get real scientists to come and talk to your classes about what they’re doing and why. 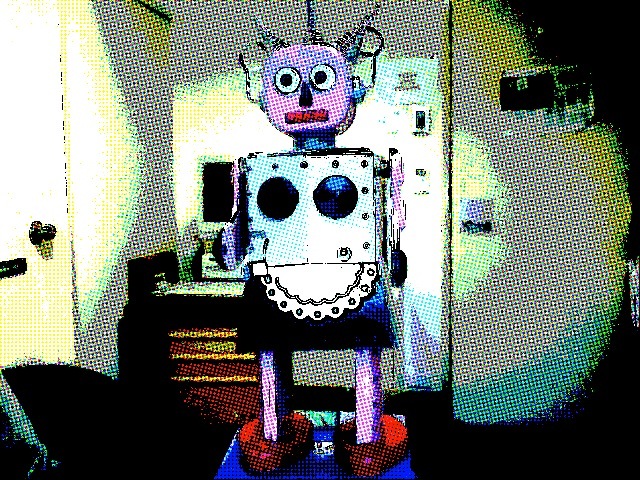 There’s also thousands of video clips about real robots available online, which can help demonstrate what’s happening in the real world and support teacher and student engagement. 9. Robotics is all about the future. We live in a complex world of big problems which need courageous, talented young people to help tackle them. A lot of young people are motivated by a desire to help others and save the planet, and some of the most significant problems that confront us can be at least partially solved with robotic technologies – such as saving lives during disasters, monitoring environmental resources, doing difficult and dangerous tasks so human lives are protected, and keeping us safe and healthy. 10. It’s fun! Anyone can learn it, and there are some great kits and programs out there for people of all ages. If you want to check out some specific examples then I think you could start here or here.